Ambleteuse is originally a hamlet of shacks in the dunes. The mouth of the Slack river is one of the richest sites for biodiversity across northern France. 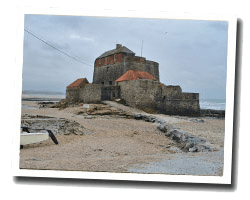 At the seaside there is a pebble beach with Fort Mahon, built in the late seventeenth century on the plans of Vauban. On a clear day, from the seafront promenade you can see the British coast 40 km away. 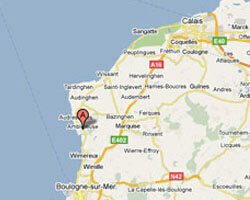 In Ambleteuse enjoy a seaview holiday rental. comfortable and spacious family villa sea front with direct access to the beach. luminous apartment on the sea front, 3 bedrooms for 6-8 people. The sea in your eyes ! Located in the village of Ambleteuse, Chez Jules offers 67m2 accommodation for 8 people with panoramic sea views.